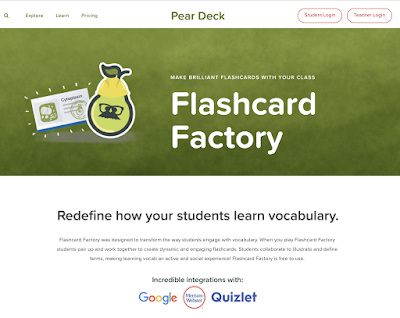 The Library Voice: PearDeck Flashcard Factory....Check Out This Awesome Vocabulary Tool! 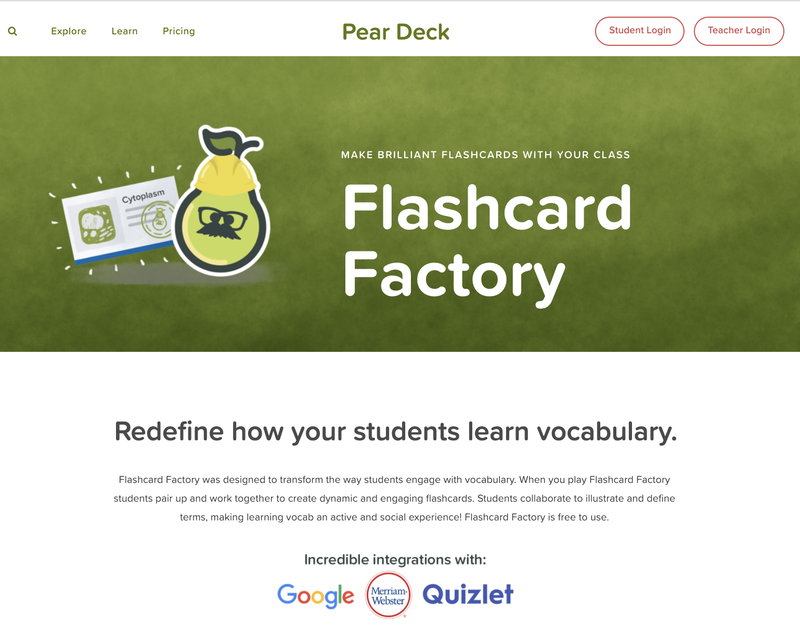 PearDeck Flashcard Factory....Check Out This Awesome Vocabulary Tool! One of the coolest tools I learned about at TCEA in Texas last week was PearDeck Flashcard Factory! It is FREE and integrated with Google, Merriam Webster and Quizlet. "When you play Flashcard Factory students pair up and work together to create dynamic and engaging flashcards. Students collaborate to illustrate and define terms, making learning vocabulary an active and social experience!" Let me know if you use this one...I would LOVE to see it in action with your students in the classroom and library. I will be sharing more after I use it at Van Meter with our kids too. Using Flipgrid For Quick Writes! Design A Game With CreatED By Crayola! Bringing Our Students Art To Life With Buncee! President's Day Collection by Destiny! Creating A Book Love Buncee To Share!